After a year of chasing stations, waiting hours in pile-ups, chasing LoTW DX ops and checking LoTW whenever I uploaded my logs. 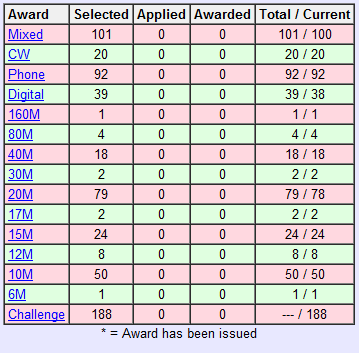 I finally got enough entities to apply for my DXCC award. Earlier this week I have DX Labs Spot collector running and with 20m acting the way it has been for the past week (very good), I saw a couple stations being spotted that I’ve never worked on before. I got to work ZL2WL (Wayne, New Zealand) and MD0CCE (Bob, Isle Of Man). MD0CCE uses LoTW and confirmed to be my 100th entity. Then last night I made contact with MW0ZZK (Steve, Wales) that confirmed my 101 entity. Thanks to all who use LoTW! 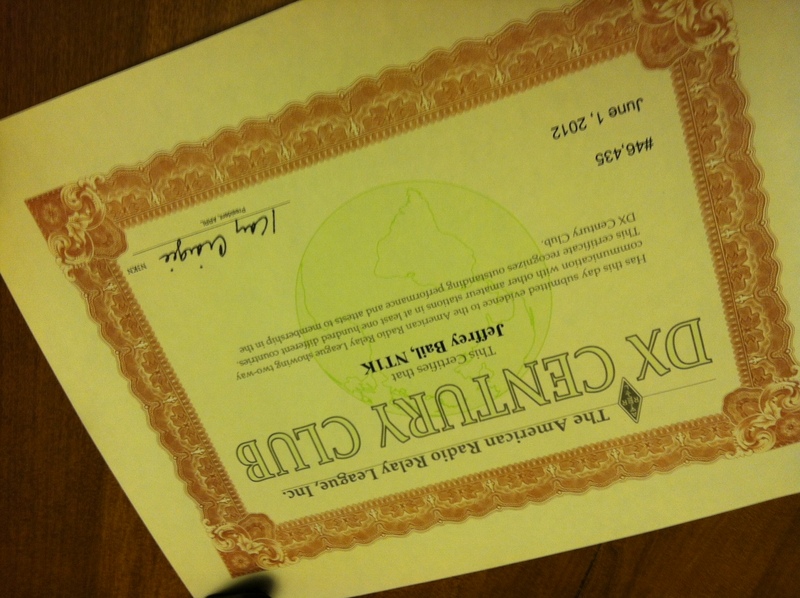 Edit 6/7/2012: I submitted my application using only LoTW credit and using the LoTW website on 6/1/12 and I got the actual certificate in today.